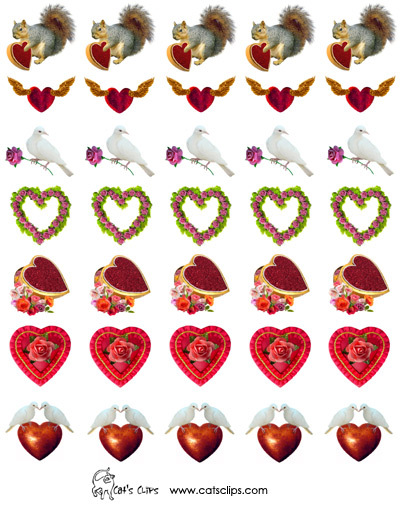 Print these squirrels, doves, hearts and roses on full sheet label paper, cut and stick on your Valentine's Day Cards. 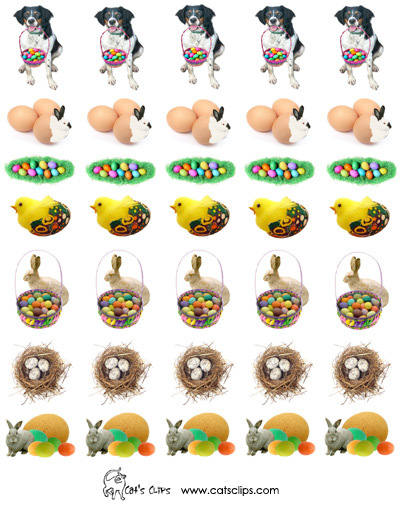 Get an early start on Easter with these bunnies, Easter baskets and colored eggs. Download and print on single sheet label paper. Then just cut and stick for spring fun. 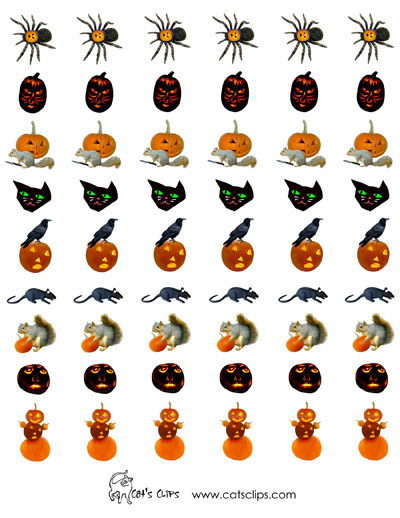 Print these free Halloween Images on a full sheet label to decorate trick or treat bags or art projects. 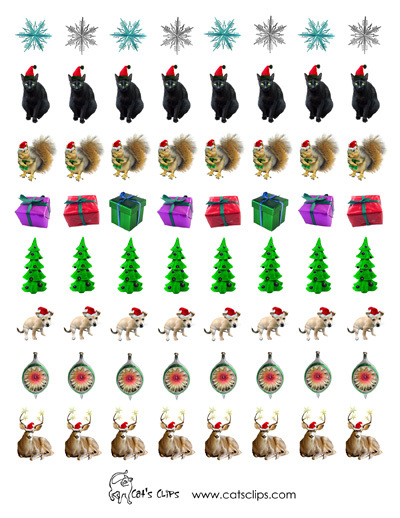 Print these free Christmas Images on a full sheet label to decorate your Xmas cards or make gift tags. 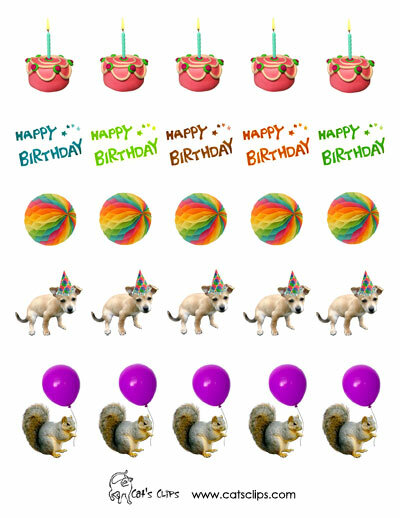 Make gift tags or decorate a birthday card with these fun images. Download the PDF and print on full sheet sticker paper (or print on plain paper, cut and glue).